The MuzicNotez Battles are back! Every season of the battles has been better than the last. This round will be no different! We’re kicking off with the rock battle again. As usual this round features talent from around the world. You will have 2 weeks to vote 10 times a day for your favorite to move on to the Championship Battle where they will have a chance to win the $500 value GRAND PRIZE!! If you have any questions how our battles work or how to become part of our battles learn more here. 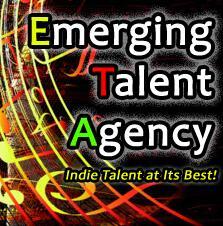 This entry was posted in Emerging Talent Agency, Headlinez, Indie Spotlight, MuzicNotez Battles and tagged elephant 12, loka, muzicnotez battles, rock battle, screaming eagles, ten a penny, the vibe, uncle balzak. Bookmark the permalink.